Just as soon as Halloween comes to a close, I’m ready to start decorating for the holidays. Truth be told, I would leave the holiday decorations up all year if it wouldn’t annoy my family. Every year, I put a great deal of thought and energy into creating a new holiday design for my home. I always have a formal tree in our Living Room and if I’m feeling particularly ambitious there may be a tree in the family room and another in the finished basement. The staircase and mantle always coordinate with the trees. This is the family room, sans makeover. This was a fun tree to decorate as it contained a great deal of special ornaments. Some had been passed down to me and others I have collected to commemorate special moments. 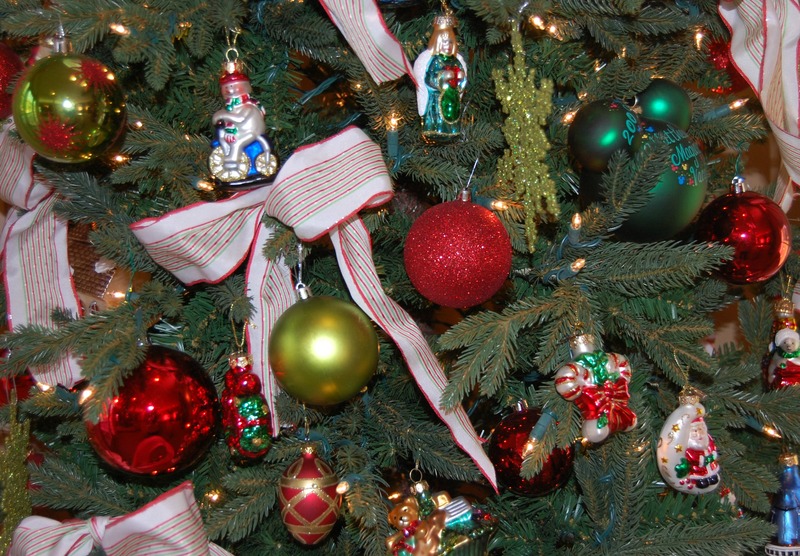 I enjoy going through the boxes and recalling special moments as I placed each of the ornaments on the tree. To tie the look together, I added pretty bows and a matching tree skirt. I always do something more formal in the Living Room. This is my favorite room in the house. We spend many hours gathered around the piano either listening to my husband play or singing along to the hundreds of song books we have. 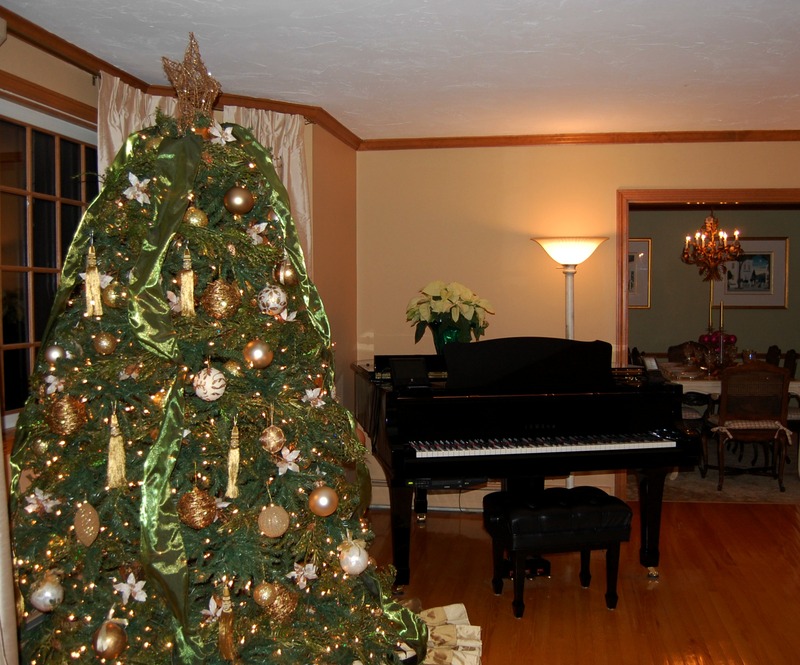 This particular year, the tree was done up with gold and ivory ornaments. A gorgeous green ribbon ran through it as well as formed a bow at the top. The third tree was in our basement. I let my son choose the theme and he suggested candy. So, that’s what I did. I covered the entire tree in real candy. 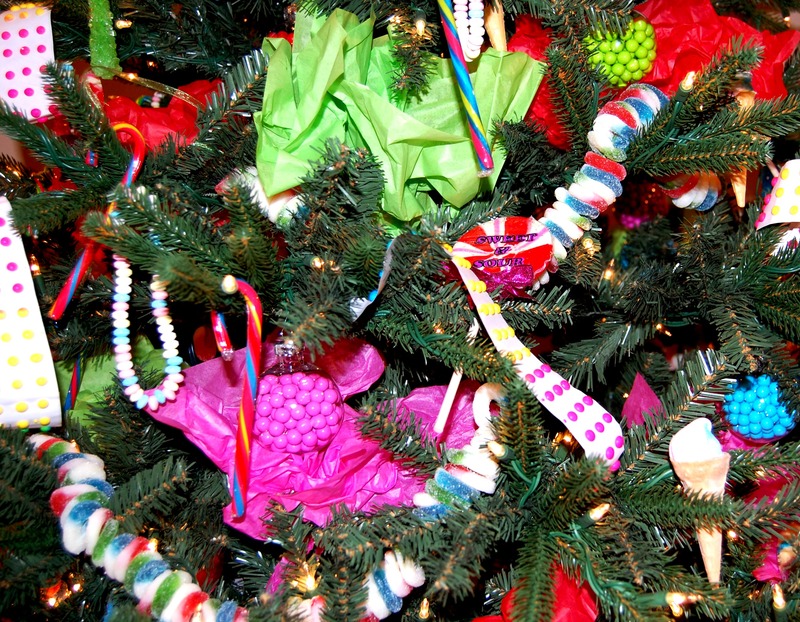 Candy buttons, candy cones, lollipops, gummy rings, rock candy and more filled the tree and left the sweetest scent. 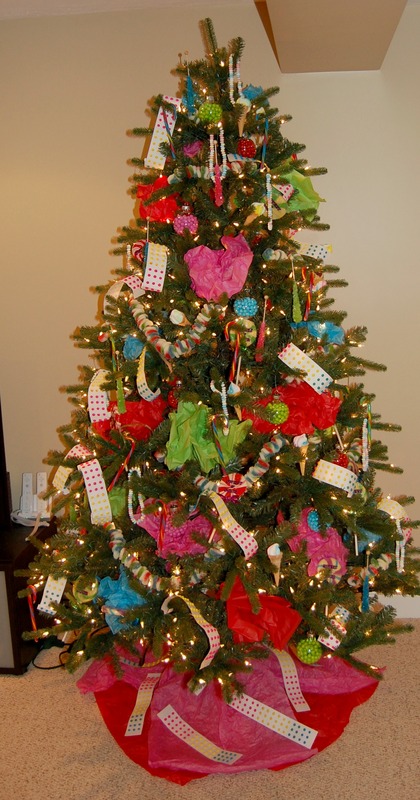 I filled in areas with colored tissue paper and also used it to create a tree skirt. Slowly, over the course of a few weeks, the wrapped candy began to disappear. My son insisted it was a mouse. I have recently started working on my home for this coming Christmas. I’ll be sure to post soon. 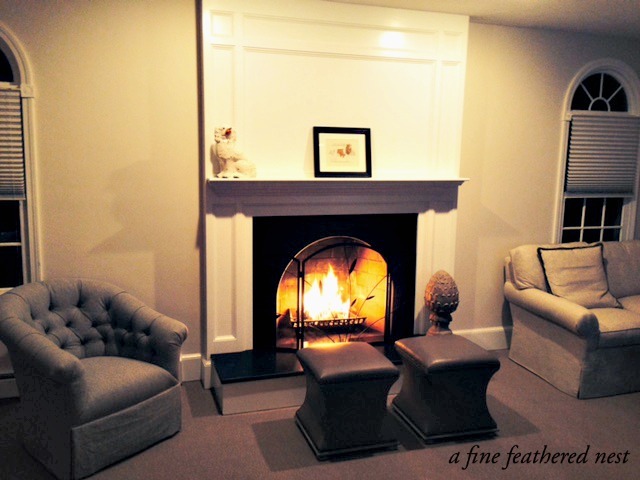 Recently, I did a post entitled “Fall Mantel Decorating,” as I find this is the one spot I’m constantly decorating. 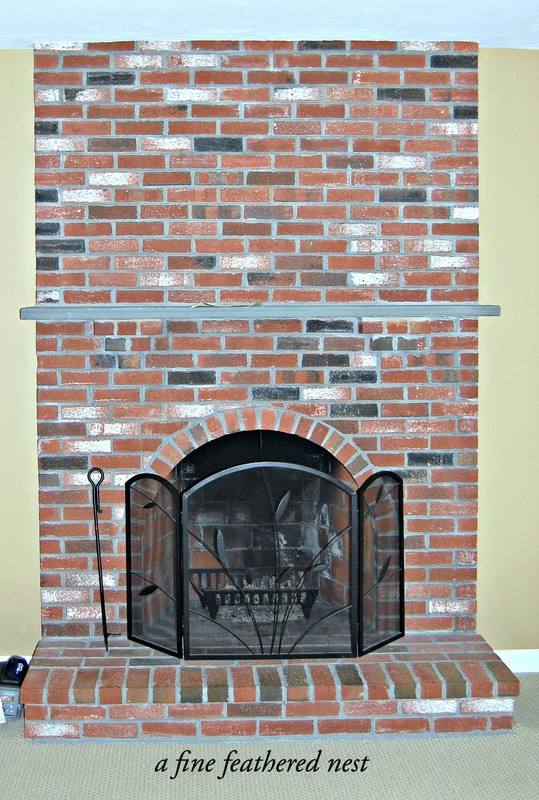 Our mantel serves as one of the focal points of our family room. You can also see it from the kitchen and entry, so it’s one place I like to make sure reflects the warm and welcoming feeling of our home. When I first moved in to my home 13 years ago, I absolutely hated our mantel. 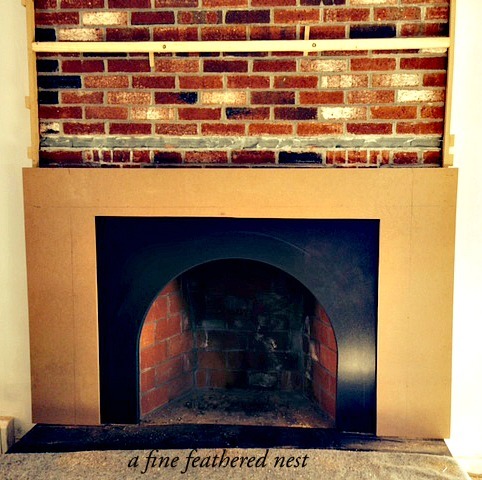 It was red brick from floor to ceiling, with a thick piece of slate for a mantel. No matter what I placed on it or above it, I couldn’t get it to work. So, finally after several years, as part of a family room re-do, we decided to update the mantel. I wanted something elegant and timeless. 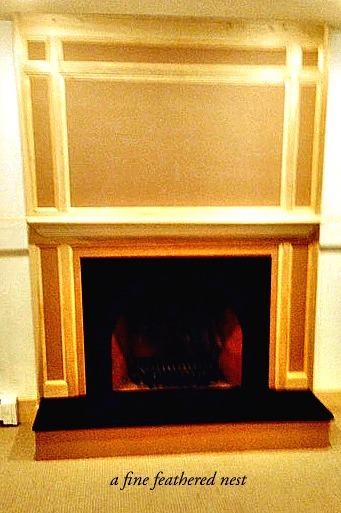 I decided to go with a black honed granite hearth, with a white mantel and surround and I couldn’t be happier. Now I am able to truly achieve the look I wanted when decorating my mantel piece. As I mentioned, this was part of a family room redecorating project. One of which I am still in the process of completing. So stay tuned for updates of this project as well as other rooms I am making over.